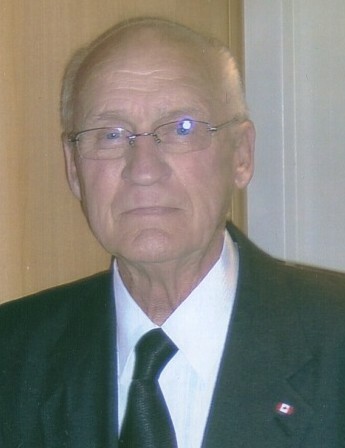 To the many friends he had, Wally Guitard passed away peacefully after a lengthy illness on January 10, 2019. He was 85 years old. Wally was a kind, compassionate soul who prided himself as being a family man. During his free time, Wally was an active sportsman, Scouting District Commissioner, and was involved in municipal politics. He worked for several years in Northern Quebec in construction and 38 years at NBIP Co. in Dalhousie. Wally is survived by his loving wife of 64 years, Joan Gallie (daughter of Charles Gallie and Mary Carroll), his sister Marjorie (Ernest Duguay), and will always be remembered with love and affection by his children Kevin (Julie), Saundra (Martin), Keith (Yvonne), Sherree (Jim), Stephany (Sean), and Samantha (Mike). He is also survived by his grandchildren Shaine (Tracey), Justyn, Courtney (Andrew), Tallyia (Tim), Devon (Denise), Corey, Allyson (Mitchell), Shannon (Nick), Joshua, Sydney, Taylor, Hannah, great-grandchildren Zachary, Kennedy, Mya, Noah, Isabelle, Jack, Westyn, Florence, Taylor and by many nieces and nephews. He was predeceased by his parents, the late Nicholas Guitard and Margaret Methot (Irvine), Randolph Irvine (stepfather) and by his brothers Charles (Mary), Nick (Marg), Jack (Shirley) and Lawrence (Lea). Arrangements are in the care of MacMillan’s Funeral Home. Funeral to be held at St. John Bosco Church on Monday, January 14th at 11:00 AM, with reception to follow in the church hall. In lieu of flowers, memorial contributions may be made to the New Brunswick Heart & Stroke Foundation, to the St. John Bosco Church, or to the charity of one’s choice.